Full Video of Donald Trump accepting his Republican Party Nomination at the Republican National Convention. Trump light up the night with this powerful must hear speech. Donald Trump painted a portrait of a lawless, terrorized nation as he accepted the Republican presidential nomination in Cleveland OH Thursday night, delivering a sweeping indictment of a feckless political and corporate class that he argued was thrusting the United States into decline. 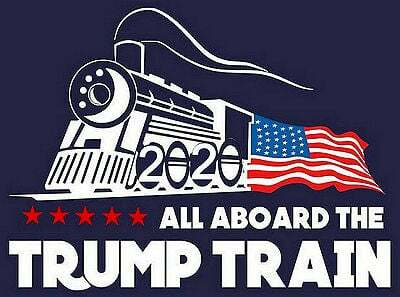 Declaring that he alone has the leadership strength to secure the homeland and rejuvenate the economy, the billionaire real estate mogul offered himself as a “law and order” candidate and made a direct appeal to blue-collar Americans who have felt left behind in the 21st century. 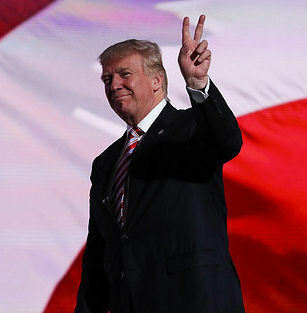 “The forgotten men and women of our country — people who work hard but no longer have a voice: I am your voice,” Trump said in a long address to fired-up delegates on the closing night of the Republican National Convention. Rather than pivoting to the political middle with an uplifting address, Trump punctuated the turbulent four-day convention with a heavy speech with simple declarations. And he focused intensively on the alleged dangers posed by immigrants and refugees, showing that on the biggest stage of his campaign he would not shy away from rhetoric that many minority voters find repulsive. Trump spoke with so much gusto it sounded much of the time as though he were screaming, and by the end his face was notably red and glistening with sweat. The address lasted an extraordinary 76 minutes, with balloons falling in Quicken Loans Arena and fireworks shooting over Lake Erie nearly an hour after scheduled. The tone of his prepared text was hard-edged — at times severe — and echoed the dark themes of Richard Nixon’s 1968 campaign. Trump is betting that general-election voters feel so beleaguered that they will heed his call for radical change. Trump described the country as beset by illegal immigrants, some of them killers. The crowd chanted back at him, “Send them home,” and “Build the wall.” And Trump decried an increase in homicides in some cities. “I have a message to every last person threatening the peace on our streets and the safety of our police: When I take the oath of office next year, I will restore law and order to our country. Believe me. Believe me,” he said. Transcript of Donald Trump’s full acceptance speech is here. Don’t let Lying Crooked Hillary Clinton become president. She will be the end of America as we know it. 4 Years of Clinton will essentially be the same as Barack Obama! Other videos from every Donald Trump rally speech can be found here on Right Side Broadcasting. Be sure to get out and Vote Trump / Pence November 8th 2016.